While we worry about what to wear, where to ride or even the normal routine things like should I mow the lawn this weekend or wash the car, the boys at One Up Components are worrying way ahead into the future and coming up with radical new inventions to improve our bikes and the way we ride. Bigger rings, smaller rings, stranger looking rings, chain guides and even funky tools that are hidden away inside your bike. This time though, they have simply just added a couple of products into the huge flat pedal market. But it seems as though they have done it exceptionally well with all the modern key factors to ensure success. Double sealed cartridge bearings. 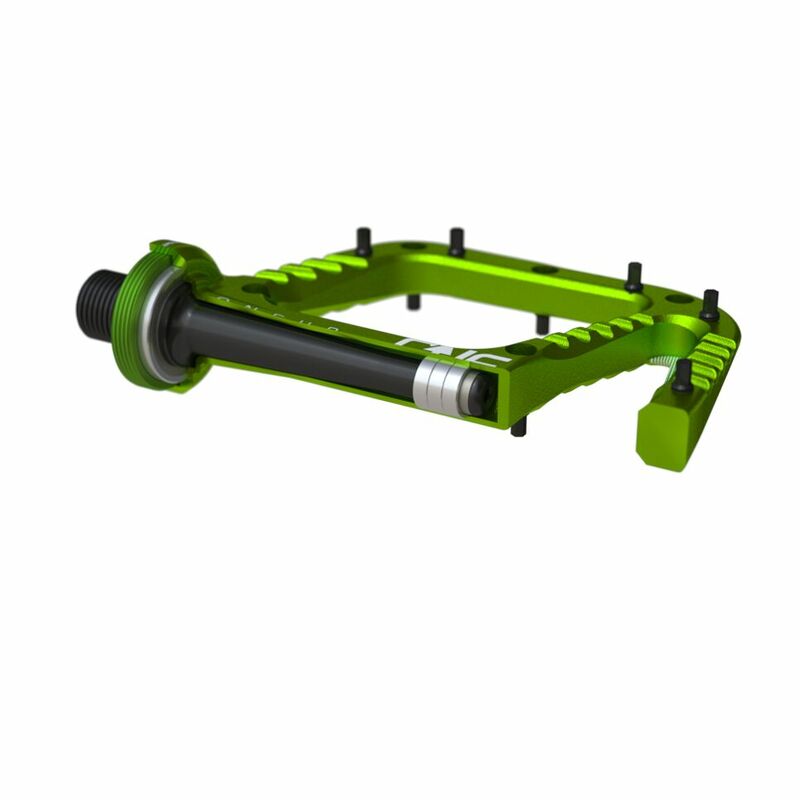 Cromo axle. Cassette tool lockring access for easy bearing grease jobs. Hexagonal steel pins for more grip. This Grey, Black or Green for the alloy version. Both versions are 115mm x 105mm.Pin kits and different height pins available soon as well as full rebuild kits..
Black. The alloy version is $112USD. Resin. Cromo axle and cartridge bearing/DU bush combo. Same steel pins. As you must know by now, One Up Components are a Canadian company designing their products in Squamish and test riding them every day. Available only online and delivery is swift from their nearest International distribution warehouse.